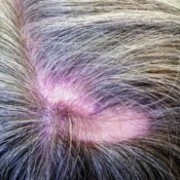 While male and female pattern baldness is the most common type of hair loss in men and women, there are other causes. Here are just a few. The popularity of hairstyles that involve putting hair under tension – the attachment of hair extensions and tight plaiting or braiding – has seen a growing number of instances of this condition, which is usually temporary, if the source the traction is removed. It can, however, pose permanent problems if the cause of trauma is not addressed. The most commonly affected area is the front of the hairline. In bad cases, hair transplant surgery is often the only remedy. This is particularly commonly seen in women of Afro-Carribean origin and seen in some Sikh men after years of tying up their long hair was publicised widely. 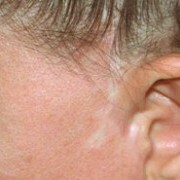 It is most usually seen as a bald area at the very front of the hairline. Hair transplant surgery can restore hair permanently, as long as the cause of the problem ceases. If you’re putting anything more than shampoo or conditioner on your hair, there’s every chance that you are doing some damage to it due to the chemicals involved. The amount and the regularity with which you apply harsh dyes, perm solution, highlights, relaxers and straighteners will impact on the extent of the damage. However, it is usually a breakage, not true hair loss, and it can be ‘treated’ by reducing or stopping the application of the chemical. In the case of burns, in which the hair roots may be destroyed, follicular unit transplantation could be the solution, but is dependent on how much scar tissue is involved. Hair loss can be brought on and accelerated by rapidly losing weight, becoming ill, undergoing surgery, medical conditions such as a low blood count or thyroid abnormalities and emotional stress. Once diagnosed and the source of the problem is eliminated, hair will normally grow back in a few months. When this involves major pulling on the face and scalp as in a face or brow lift, hair loss around the frontal hairline can occur. 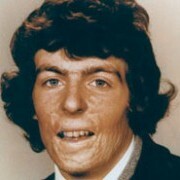 This can be effectively treated with hair transplantation. This is thought to be an auto-immune condition where the body produces antibodies against your own hair causing hair loss. 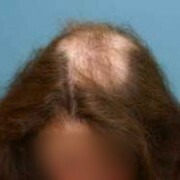 The condition usually appears as one or more isolated patches of complete baldness. In more severe forms, there is total baldness of the scalp (alopecia totalis) and, in extreme cases, total loss of all body hair (alopecia universalis). Sometimes medical treatment is successful in treating the less severe forms of the hair loss. In many cases, the condition clears up by itself, but may recur at a later stage. There are over 100 drugs known to cause hair loss – these include some forms of blood thinning drugs, thyroid medications, chemotherapy for cancer and contraceptive pills. Again, the effects should be reversible once the drug is changed or stopped. A lot, but not all, of the drugs used in chemotherapy to treat cancer work through attacking the cancer cells and disrupting their growth. Unfortunately, they can also affect normal cells in the body – including those of the hair follicles. A potentially effective way to reduce hair loss during chemotherapy is to wear a ‘cool cap’ that inhibits the amount of chemotherapy-related drugs reaching the scalp. Happily, in most cases, hair will grow back following the completion of a course of chemotherapy. 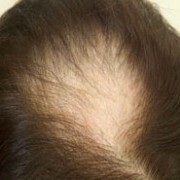 The rays used in the radiotherapy treatment of cancer will only cause hair loss in the area exposed to the treatment. Hair doesn’t always grow back following radiotherapy, and we are happy to advise of the options open to you. Before doing anything, we would first advise you to see your GP, specialist nurse or cancer support specialist as we would most likely need to liaise with them. 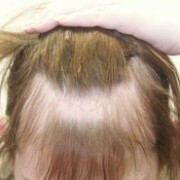 Many women experience hair loss for a few months after giving birth. This is due to a delay in the normal ‘shedding’ process during pregnancy. In other words, the hair gets thicker during pregnancy and then returns to its normal state afterwards – accounting for the apparent ‘hair loss’. The scalp hair balance should normally be restored 6-12 months after childbirth. Trichotillomania is a compulsion disorder where a person uncontrollably pulls their hair out. They may do so from their scalp, eyebrows or even eyelashes. It is a psychological condition where the person is simply unable to stop themselves from carrying out this action. Usually there is an intense urge to pull your hair out and an immense relief after pulling out the hairs. 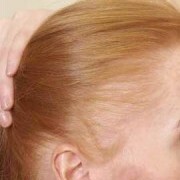 Pulling out hair on the scalp or other areas can leave bald patches. Sufferers may feel guilt, embarrassment, shame or other negative feelings. The first line treatment should be counselling and psychological therapy. Only when assured that the urge to pull is no more, can treatments such as hair transplant surgery be considered if needed.